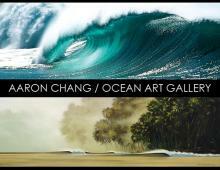 Award-winning photographer, Aaron Chang has partnered with distinguished artist, Wade Koniakowsky to launch the Aaron Chang Ocean Art Gallery. More than 450 guests attended the Grand Opening, which took place from 6-9 p.m. on July 10th at 415 South Cedros Avenue in Solana Beach. 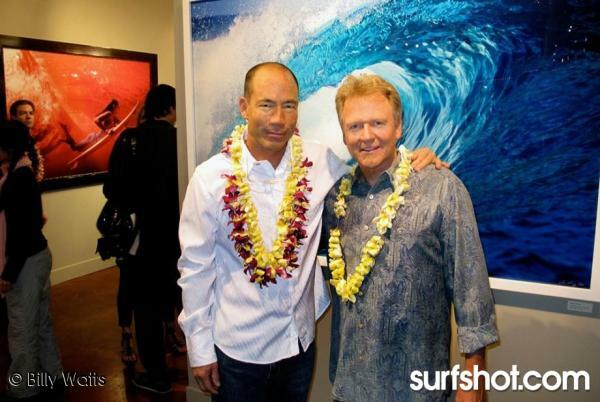 Showcased at the event were many of the finest pieces produced by each of the owners including a collaboration surfboard crafted by renowned shaper John Carper, hand painted by Wade Koniakowsky, and inlaid with original photographs by Aaron Chang. According to Carper, “It is the most beautiful surfboard I have ever seen.” Within minutes of the unveiling, the masterpiece P.B.U. board was sold to a private collector and a portion of proceeds were donated to Surf Aid International. 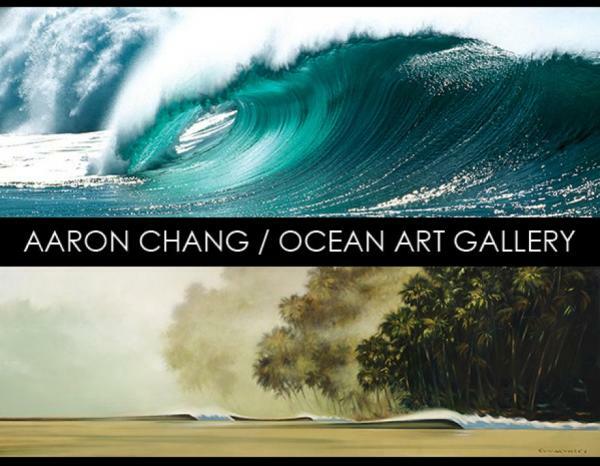 Throughout the evening, a number of selected Artist Proofs were purchased by local collectors, making the event a huge success for the entire Ocean Art Gallery team. Adding to the ambiance was live music by Benjamin Myers, complimentary appetizers, and autographed commemorative books. 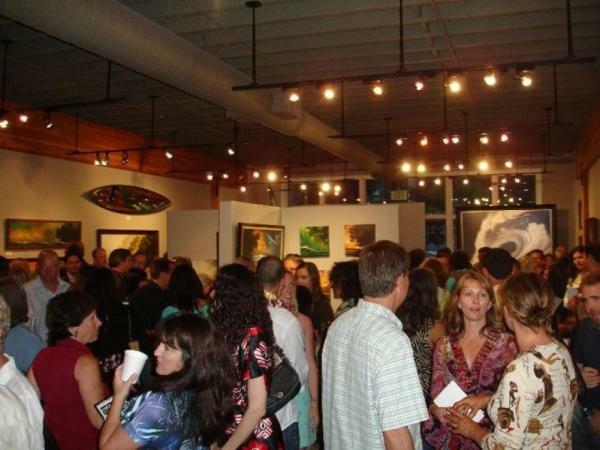 "The grand opening was all we wanted it to be,” says Gallery Co-Owner Wade Koniakowsky. “We were stoked to share our vision for a Gallery that pays tribute to the ocean." The new Gallery, located in the heart of the Cedros Design District, is open to the public Monday through Thursday 10 to 6, Friday and Saturday 10 to 8, and Sunday noon to 5. On permanent display are Wade’s selected oil paintings, reflecting his unique ability to incorporate the soul of the tropics into mystical works of unforgettable artistry. Guests can also view Aaron’s exotic images collected from a lifetime of traveling, from the waves of Tahiti to the deserts of Africa. All featured art is available for purchase. In the near future, both artists anticipate hosting workshops to inspire young artists and partnering with non-profits that focus on the areas of Ocean Environmentalism, Humanitarian and Education. This entry was posted in Surf Events, Surf News at Solana Beach. Bookmark the permalink.